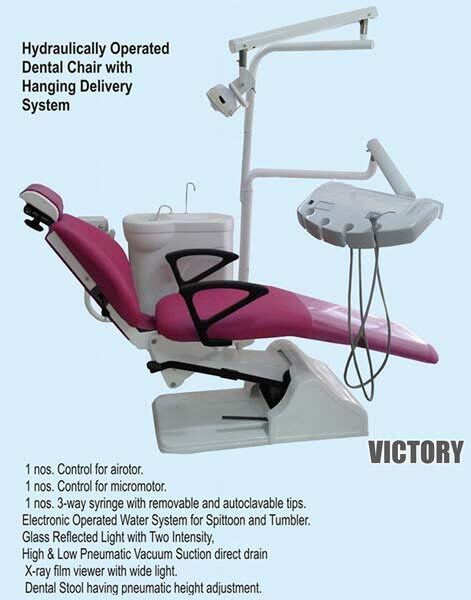 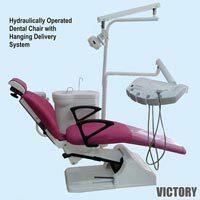 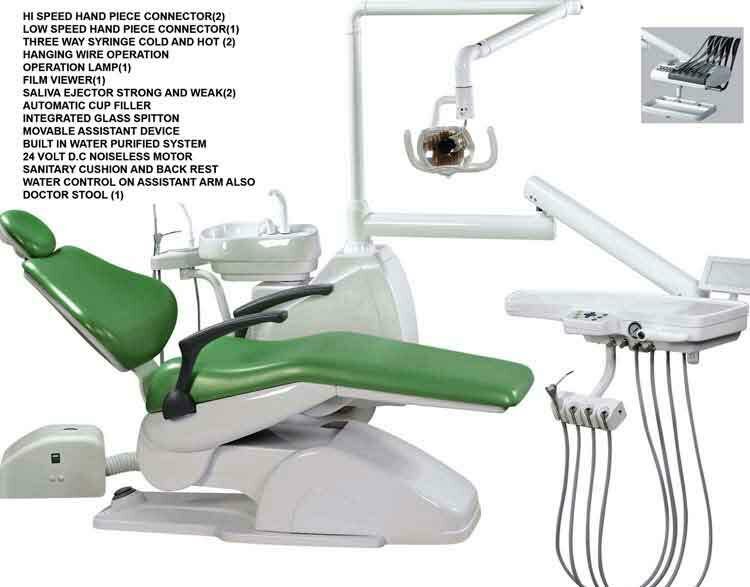 Ours is a known name in providing a wide range of Dental Chairs that includes Delight, Force and Victory. 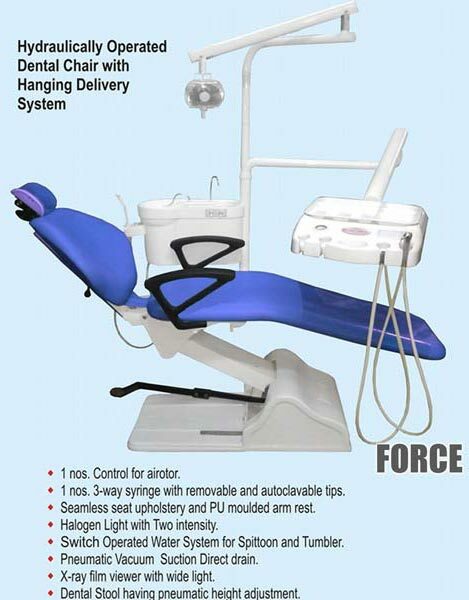 These Dental Chairs are specifically designed by keeping in mind the comfort level of the patients as well as to provide convenience to the dental professionals. 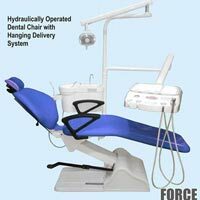 Our range of Dental Chairs is appreciated by the patrons for durability, sturdy construction and ergonomic design. 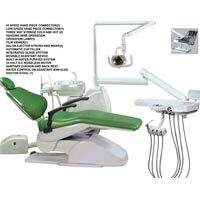 Dental Chairs that we offer are included with other assisting instruments so as to render more efficient services to the dentists.